We are a leading Service Provider of fuji ac motor from Chennai, India. If you are looking for Fuji ac motor, please call us. We will do our best to help you find the Servo drive that you are looking for at the most competitive prices possible. We service, repair, replace, built, rebuild, regrind, recondition, refurbish, re manufacture, retrofit and overhaul all servo drive and servomotor. 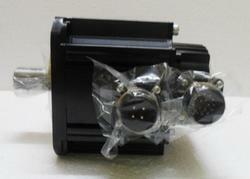 Looking for Fuji AC Servo Motor ?